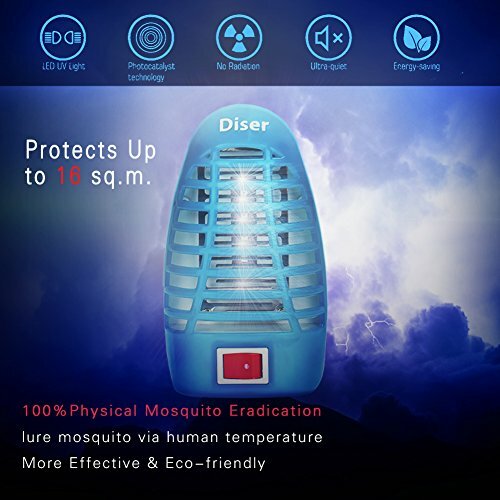 Diser’s bug zapper offers an interesting approach when it comes to eliminating or reducing insects and mosquitoes in your home. 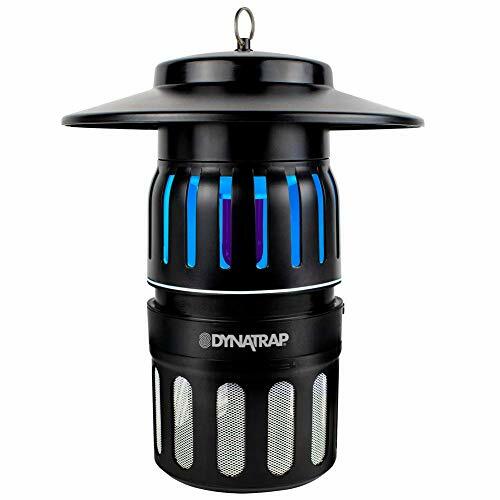 It uses the popular UV technology to attract the insects and comes in at an attractive price point and offers good results when compared to other mosquito trap reviews, especially considering an official range of 16 square meters, more than enough for most rooms in your house. The device represents one of the most interesting options for those users who need a minimalistic design but don’t want a device which uses chemicals such as the classic bug sprays. Within the entry-level market, there are a few options to choose from, but not many come with the design characteristics of the Diser Zapper. The main characteristic comes with the front ON/OFF switch will allow you to control the zapper without unplugging it from the wall. Even more, the device will represent a great solution for smaller rooms where its performance will increase significantly. The zapper offers a decent experience in this segment of the market and one of the complete designs for the affordable range. Thus, you will be able to turn it off while the device will still be plugged into the wall. The feature might not come as a great technological advance but it might save you from plugging it in and out of the wall every time you want to use it and then finding a space to store it when not in use. The small button actually represents one of the few differences that come in the crowded segment of the market and it might make you decide in its favor when comparing it to other similar devices. In terms of performance, you can expect what is offered with similar devices on the market within the 16 square meters area. This means that you will get all the benefit of the UV technology with the device. This technology will work to attract insects and mosquitos and will kill them on the spot. Although there are plenty of alternatives on the market, you would use the device for the ability to control the technology through the front switch. Furthermore, the zapper will prove to work with an interesting approach. The manufacturer recommends that you place in a room with closed windows and doors for about three hours to see the results you are expecting to see. This might mean that you may not have the time to fully master this process, but at the same time, within this price range, you cannot expect much more. The device will prove to be a good solution in areas such as the bedroom where you can control the environment by closing the doors and windows. It might not prove to be such a good choice in the living room or other large open spaces. 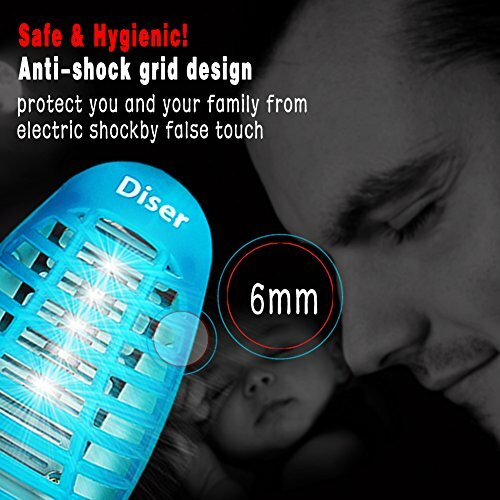 If you are looking for your first bug zapper, Diser’s device might prove to be a good option. If you are looking to upgrade from your existing device, then the upgrade might not worth the investment. But the device is primarily aimed at people who are moving up from the traditional spray solutions that tackled bugs and insects with chemicals. If you want a safer environment, this might be a recommended and a practical solution. When it comes to comparing the zapper to other similar options, it might be worth considering some other entry-level options. There are some good options on the market at this price range and the final decision might be down to your preference as the performance will not differ considerably. Even more, many products come with similar performance and this is why small designs aspects such as the front switch might prove to be the single difference when it comes to the user experience. 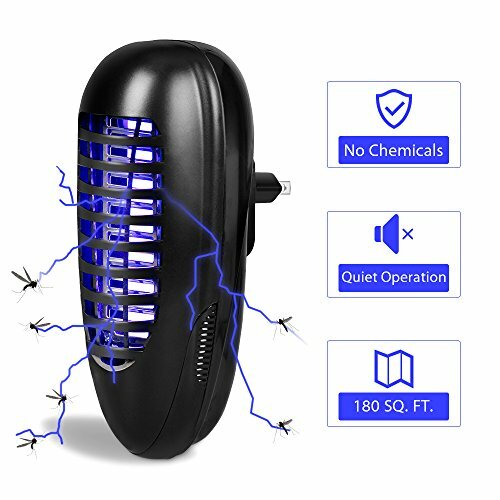 This is the case when comparing the zapper to the Vivreal Home Indoor Mosquito Killer. Both zappers work within similar parameters. Even more, they both come with a similar compact size. But the main difference will thus come with the front switch of the Diser Bug Zapper. The good news is that all the rest of the characteristics which involve the area of coverage and the UV light technology are similar in both products. Diser’s offering also comes with an additional zapper in the pack. 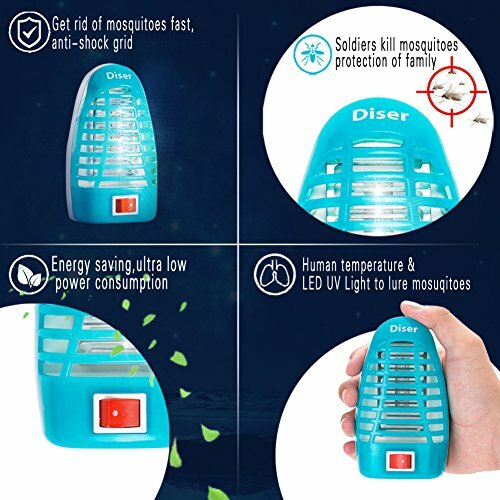 So if you want to reduce the insects in two rooms and also want the versatility of the front switch, Diser’s Bug Zapper might prove to be a better option. If you want a single device with no switches, Vivreal’s zapper can represent the best solution. 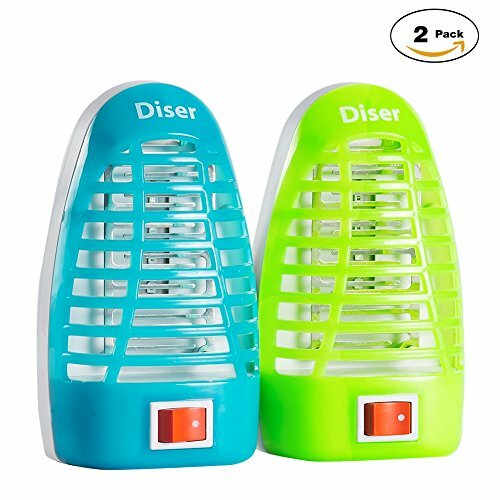 The Diser Bug Zapper represents one of the most simplistic solutions on the market when it comes to controlling the insects in your home. Without any special advanced technologies, it manages to provide a simple user experience which is still above what many other models from the competition have to offer. Even more, the device will work or a large number of users and this is where it might prove its worth when all other options will struggle to stand out. Thus, with the UV technology and the front switch, the zapper might stand out in a crowded market. So who is the ideal user of the Zapper? Ideally, the perfect user of the zapper would be users who are stepping up from the classic bug spray and need to stay up to date in this perspective. Since many users have never tried a bug zapper before, Diser’s device might prove to be the right first step in this direction. Finding the best solutions in this perspective represents one of the best alternatives to the chemicals which could be inhaled by you or your children with the classic bug spray. Even more, the device will work for a large number of rooms which are within the 16b square feet limit.